This particular post is late due to the very eventful week I've had so far this month with two family members in hospital (and out now) having had two operations (both orthpedic), so I've been been playing nursemaid, taxi runner and all else that goes with the duties of mum and wife on top of the norm. I'm hoping for the rest of May to settle back into some normality LOL! 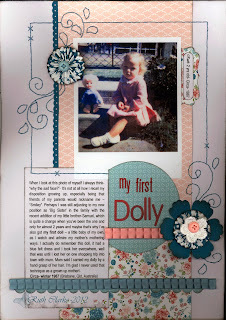 So with out further ado here is my take on JAI (Just Add Ink) Scrapbooking #5 Vintage/Heritage. I loved this challenge, something close to my heart. 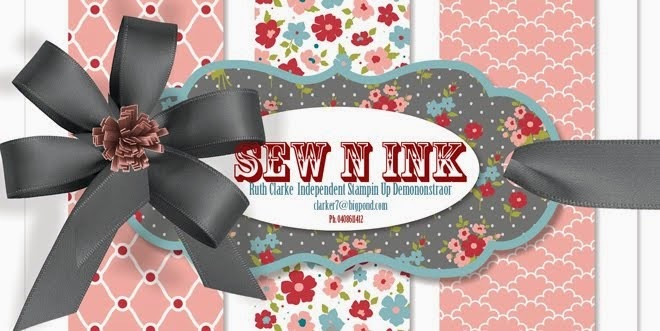 I've used Stampin Up DSP- Twitterpatered and the lovely pleated ribbons- Blushing Bride and Baja Breeze. As well the new current Blossom Punch, SU crocheted Floralettes, Twitterpatered Buttons and some mini rossette which can be made using the Scoreboard. I finished off the layout with some handstitching - some of the design was achieved by using the Negative cutout of the swirls Sizzix die. 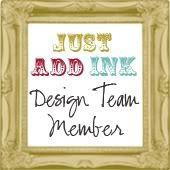 So why not join in and have a go too at this months challenge by clicking on the JAI badge below to see other team members examples and the guidelines for this challenge. 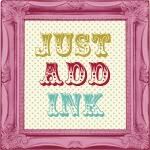 beautiful work ruthy! i love your colour choice, n lovely balance of everything! super nice!